Hi everyone! I will probably have one or two more Thanksgiving posts, but this week, I've started on some cards for Christmas. 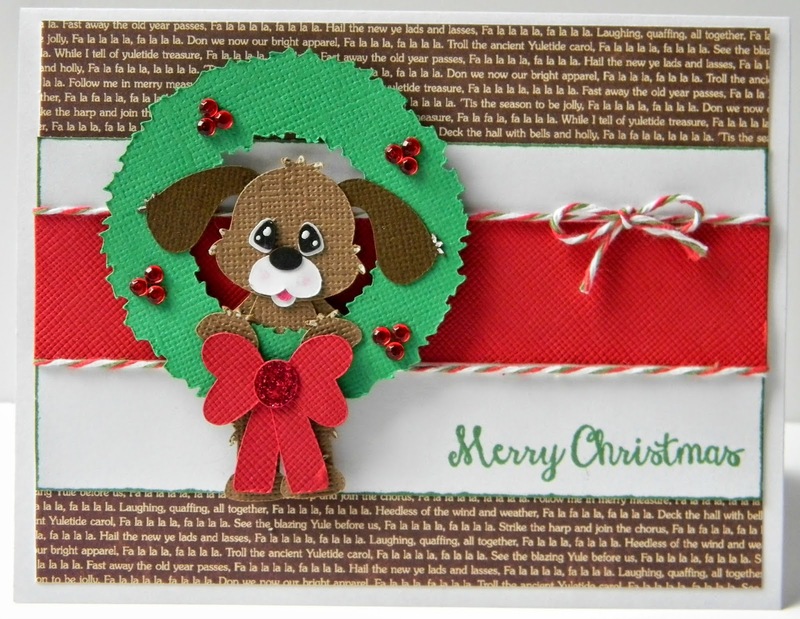 This cute die cut is from A Puppy for Christmas from Too Cute by Jessica. 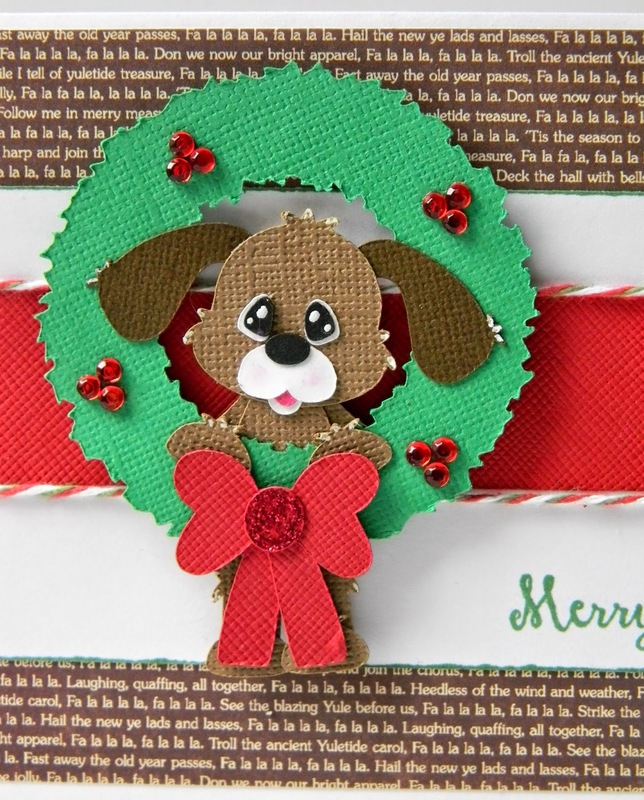 There are several cute puppies to cut out from this fun file.